In my second blog post today, I’m featuring another beautiful topiary design from the Jane Packer team demo at the Country Living Magazine Spring Fair. 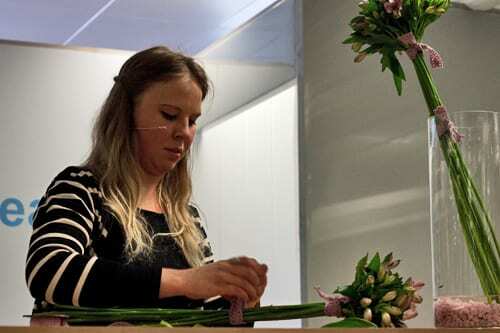 This time, Hannah used alstroemeria, which are also known as Peruvian lilies. She took two bunches of about ten stems and arranged them so that the flower heads created a dome shape. Then she secured them at the base of the blooms by attaching pot tape. Half way down the stems, she secured them again with more pot tape. To disguise the tape, she tied lengths of pretty pink lace, which co-ordinated with the colour of the alstroemeria. She then placed them in a tall cylinder vase, with a layer of pale pink stones. 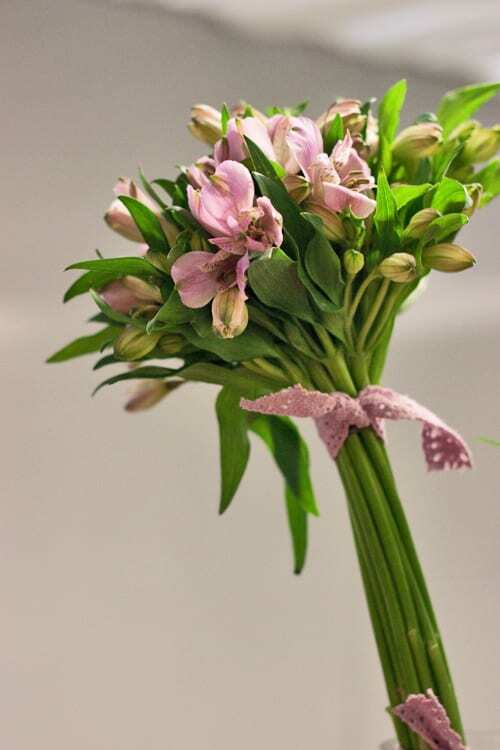 If you like long-lasting flowers, then I highly recommend that you buy alstroemeria! 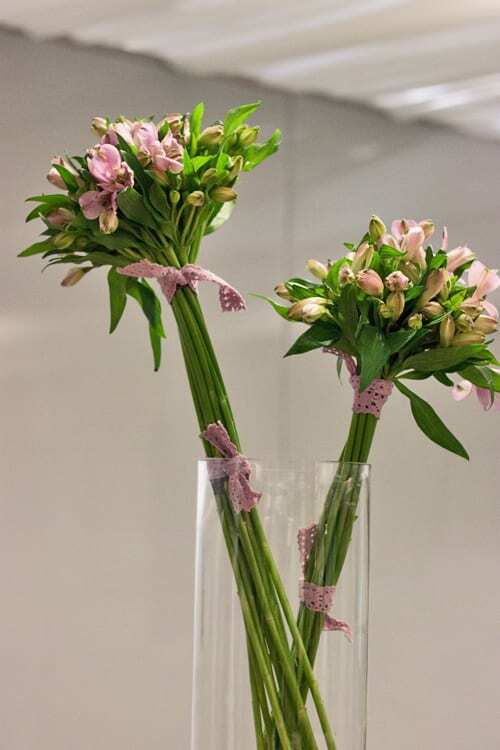 In the right conditions, they can have a really long vase life. They’re available all year round, in red, pink, orange, yellow, white, cream, purple and peach. This design could also be made using other flowers. For example, narcissi, daffodils or chrysanthemum blooms. Next week, I’ll feature Parts 3 & 4. P.S. Here’s a link to the previous topiary design demo which I featured earlier today. Love the beauty and simplicity of these bouquets! Thank you very much for your comment and popping by Flowerona!